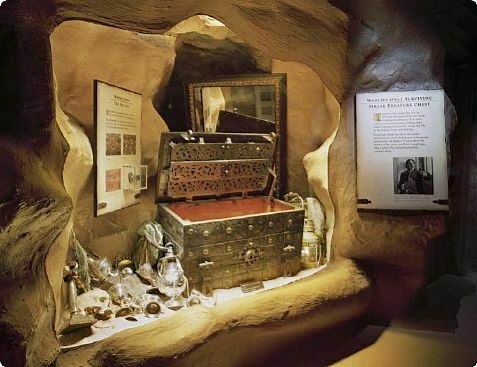 Founded by famed entrepreneur Pat Croce, St. Augustine’s Pirate and Treasure Museum boasts one of the largest and most authentic collections of pirate artifacts in the world.With 48 individual exhibit areas, the museum is a veritable treasure trove of ill-gotten booty. 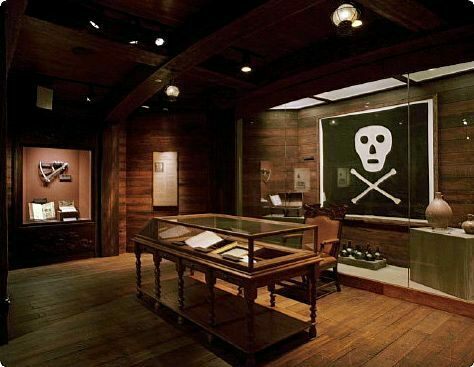 It includes such gems as Blackbeard’s blunderbuss and pieces of gold retrieved from his warship the Queen Anne’s Revenge; one of only two remaining authentic Jolly Roger flags; and Thomas Tew’s original treasure chest, the only known authentic pirate treasure chest in the world. 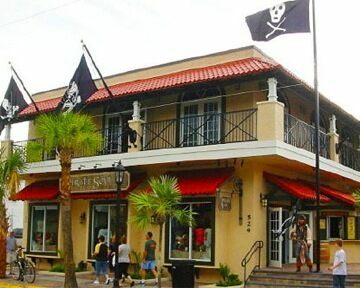 The exhibits wind you through a history of this nefarious profession, displaying numerous pirate weapons, heaps of treasure, information on each buccaneer’s life, and writing and art depicting these feared fortune-hunters.The museum was originally located in Key West and known as the “Pirate Soul Museum.” It was relocated in 2012 to St. Augustine, a historic pirate port. 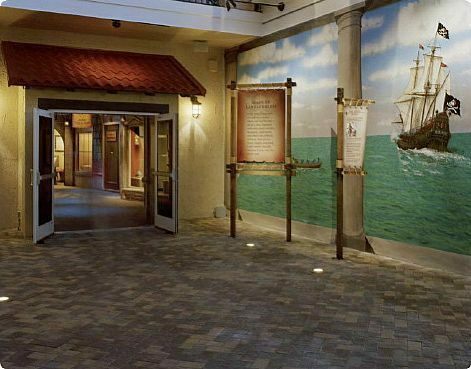 There is a treasure hunt that will keep your kids interested in each room as you visit; be sure to ask about it.